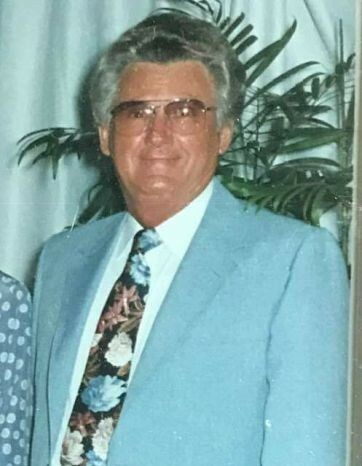 Alonzo Wellington “A.W.” Moore 89, died Wednesday, November 21, 2018. Born in Morven, NC he was a son of the late Elisha Addison Moore and Mary Eliza Pegues Moore. He was a US Army Veteran and served during the Korean Conflict. A.W. had worked with Cooper Tools (Weller) for 20+ years and was retired from Cheraw IGA Grocery Store. He was a member of Cheraw Church of God. He was a very gifted vocalist and shared his gift of singing with many families in Chesterfield County. He was always willing to sing at church events and services also, weddings and funerals without regard of ones station in life. Surviving is his sister, Mildred (Billy) Sellers (to whom he was extremely close) of Cheraw, SC, also many nieces and nephews. He was preceded in death by his parents listed above, siblings, Billy Joe Moore, Wilson Moore, Andrew Moore, Addison Moore, Sara Harrington, Thelma Poole, Azzaline McArthur and Mary Lou Avant. The family will receive friends 2:00 PM to 3:00 PM, Sunday, November 25, 2018 at Cheraw Church of God, Cheraw, SC. A memorial service will be held 3:00 PM, Sunday, November 25, 2018 at Cheraw Church of God, Cheraw, SC. Memorials to: Cheraw Church of God, 763 Highway 52 N., Cheraw SC, 29520.